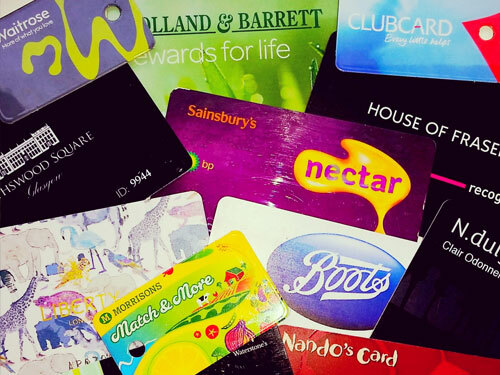 Schemes such as ‘Nectar’ or a ’Tesco Clubcard’ offer very little ‘reward’. Using a Nectar card you receive 1 point for every £1 spent – 500 points are worth £2.50 to spend in-store, or sometimes more when turned into rewards to spend at restaurants or days out. 1 point is worth 0.5 pence, which means you have to spend £200 for every £1 you get back. You could save a lot more money on just a few items by using ‘My Supermarket’ and making genuine savings. Beware of being seduced by loyalty schemes.